Each Sterling Integrity Business Show is a busy medley of buyers, suppliers, industry experts, networking and business advice. The shows are a fantastic proven channel for business leaders to find new prospects and for partners to grow and strengthen their business. Using a unique combination of marketing, networking, seminars and exhibiting, the show presents exhibitors and delegates alike with hundreds of opportunities to make and reaffirm business connections. The ambience is busy, fun and friendly yet extremely focused. Businesses of all sizes from diverse industries find new and productive ways to help their business flourish. The shows are free to attend, with free parking and free lunch and refreshments. Up to 40 exhibitors and around 180 delegates attend each Sterling Integrity show. We work proactively with everyone before, during and after each event to ensure we maximize every opportunity to bring people and business together. We hand-select exhibitors, ensuring we present an excellent showcase of the most forward-thinking business from a wide range of sectors (we do not allow more than two exhibitors from any one industry). 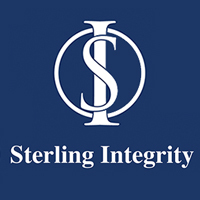 Sterling Integrity currently run shows in Birmingham, Coventry, Solihull, Oxford, Bristol, Cardiff, Gloucester, Cheltenham and Worcester.